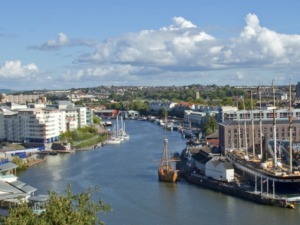 Bristol is looking at four different options for charging clean air zones as well as the potential for a non-charging zone. The council was one of 27 that were named in Defra’s clean air plans – published last July – and told that they needed to undertake action to consider the best option to achieve statutory nitrogen dioxide limit values within the shortest possible time. This included the requirement to undertake a feasibility study and identify options by 31 March 2018 and identify a preferred option by the end of this year. Work carried out by the council has now identified five possible options, which include a non-charging clean air zone as well as small or medium-sized clean air zones for HGVs and LGVs along with the possibility of cars. Vehicles compliant with Euro 6 (for diesel) and Euro 4 (petrol) standards would be exempt from charges. The council will now proceed with assessment – including which options are most likely to help achieve air quality compliance with the legal limit for nitrogen dioxide in the shortest possible time – and seek the views of residents, businesses, transport operators on a preferred option. This will then go under formal public consultation prior to any decision on implementation. Marvin Rees, Mayor of Bristol, said: “There is no single solution to our air pollution problem in Bristol so we must look at this issue from many different angles.